(January 23, 1942) -- On the quirkish, unpredictable hand of Fate - that mythical lady whose slightest whim may mean life or oblivion for nation or man - must go much of the blame for the probable death of Preston Hastings, 29-year-old brother of a local woman. A seaman on the tanker Allan Jackson, Standard Oil company vessel set afire and sunk by an axis submarine late Sunday, Hastings is one of the 23 men given up as lost by naval searchers. Torpedoed without warning near Hatteras with a full load, on the return trip, the vessel exploded into flames and went down in less than five minutes. And not only was his fortune not bright enough to include him among the 13 saved, but except for a doctor’s orders and an expressman’s ineptitude, he would never have boarded the Jackson at all. The oldest brother of Mrs. Victor Hopkins, Chestnut Street, the young man left the sea three years ago after serving though nearly four Christmases on both freighters and tankers. He had been a signal corps soldier in the U.S. Army before this and he decided it was time to settle down and make something of himself. A brand new wife helped him make up his mind and he found an office job at Dupont nylon plant in Seaford, Del. Apparently a born outdoorsman, however, his health began to slip in his new steam-heated occupation – and a few months ago Dupont doctors told him he must find outside work. 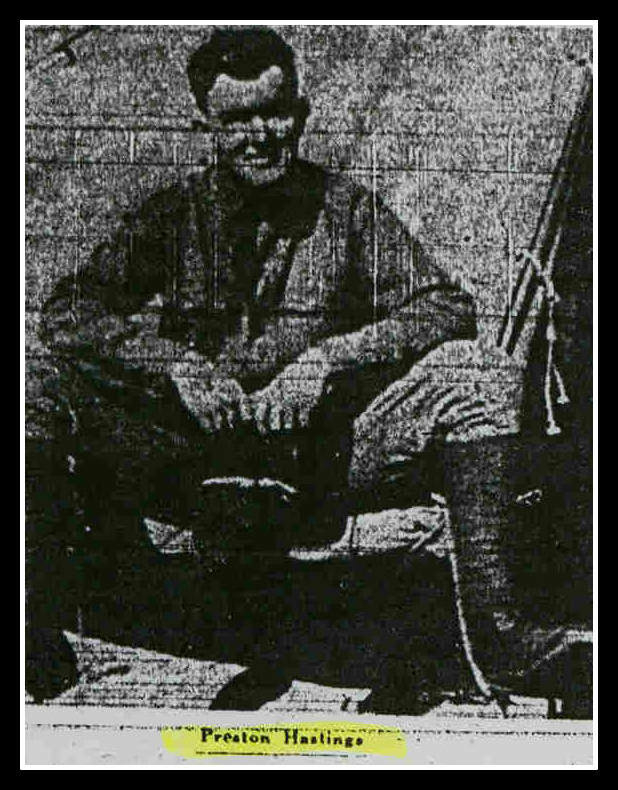 Offered a watchman’s position, he first tried to reenlist in the Army but was rejected because of his condition. Still anxious to help his country, he held off on the company offer and finally decided to go back to sea in the tanker service. Hopkins said Hastings arrived here in Nutley on New Year’s Eve expecting to leave the next day on a tanker – not the Jackson – going to Central America on a quick trip. Somehow his baggage had been lost by the railway express on its way up from Delaware, though, and by the time he had found it his ship had left. He stayed here three days before Standard Oil reassigned him to the Jackson. The rest of the story is only too well known. Torpedoed without warning near Hatteras with a full load, on the return trip, the vessel exploded into flames and went down in less than five minutes. Hot oil seared and parboiled those not thrown clear of the wreckage, and last official counts indicated that all but 13 of the crew had either drowned or been burned to death. Most of the bodies, including Hastings’, had not been recovered by press time today. Mrs. Hopkins left for the family home at Galestown, Md., Tuesday afternoon and probably will remain there until more definite word is received from the naval department. Her husband, who interviewed one of the Jackson’s survivors in Bayonne Wednesday evening may join her over the weekend. One last tragic note remains to the story. Hastings’ father and 20-year-old brother were driving to a nearby town so the boy could enlist as an air corps cadet, when news of Jackson’s sinking was flashed over the radio. They immediately returned home to await the tidings they feared. 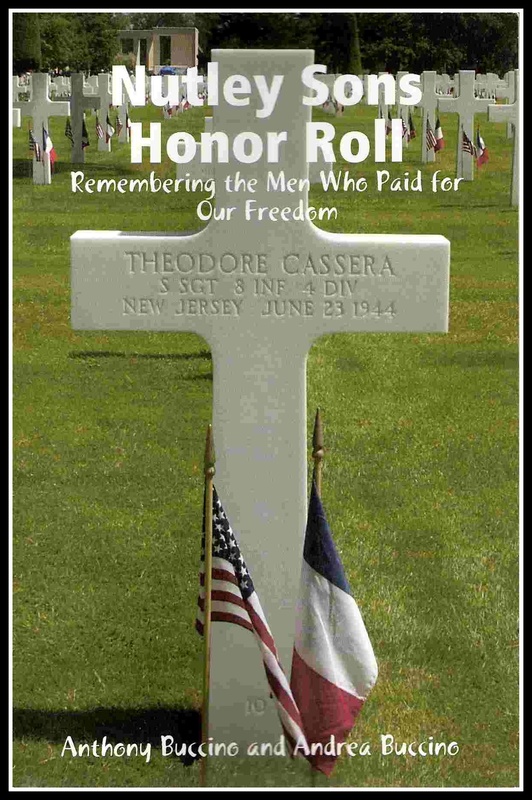 This Nutley Son's name is not on the WWII memorial.